For more than a decade, LCBO (Liquor Control Board of Ontario) employees across Ontario have encouraged their customers to support anti-impaired driving initiatives by participating in Project Red Ribbon and other public awareness events. LCBO is also proud to be a Provincial Sponsor of MADD Canada’s School Assembly Program, 24 Hours. 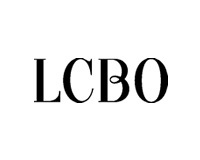 In recent years, LCBO and MADD Canada have partnered on innovative provincial advertising campaigns, using creative media – from cinemas, to outdoor billboards, in bar and restaurant washrooms, and on radio and TV. Early campaigns were anchored around the message “Drinking and driving is no accident. It’s a choice. Make the right one”, and focused on individual responsibility and the consequences of impaired driving. Recent campaigns, using TV and print ads, have been a call to action, “Stop drinking and driving. Any way you can”. These campaigns have also moved from showing the value of taking action at the time – a host intervening to prevent a guest who had been drinking from driving home from a party – to a next morning scenario – to demonstrate that taking action to prevent a family member, friend or colleague from driving after drinking will not jeopardize the relationship. One of our latest partnership initiatives is a web-based interactive site for parents of preteens (www.talktokidsaboutalcohol.ca). The site offers parents of preteens information and tips on talking with their kids about alcohol.